Finding foods that are low in carbohydrate yet high in fiber may seem like a challenge. However, almost all non-starchy vegetables and low-sugar fruits are also the highest in both fiber and nutrients. A well-constructed low-carb diet emphasizes vegetables and other sources of fiber. You can get the recommended daily amount of fiber on a low-carb diet by choosing those items. Does Fiber Count as a Carbohydrate? Although most fiber sources are carbohydrates, fiber doesn’t raise blood glucose, so low-carb diets don’t “count” fiber. Fiber can provide calories, not as glucose, but as products of fermentation in the colon. In fact, fiber helps to moderate the effect of “usable carbs” in your bloodstream, so it furthers the goals of low-carb diets. To the extent that it creates satiety, it may also help prevent weight gain and aid in weight loss. Fiber is good for your digestive system and the prevention of hypertension as well. It can also maintain healthy levels of LDL cholesterol and blood glucose. The Academy of Nutrition and Dietetics recommends that adult women consume 25 grams of total fiber per day and adult men consume 38 grams. In both cases, 10 to 15 grams should come from soluble fiber. You need less fiber as you age. Over age 50, women should consume 21 grams and men should consume 30 grams. Most people have a much lower fiber intake than is recommended, however. Humanity's prehistoric ancestors probably ate upwards of 100 grams of fiber per day, so you can probably handle very high amounts of fiber without difficulty. If you are limiting carbs, look at the ratio of usable carb (or effective or net carb) compared to fiber. In other words, how much carbohydrate do you have to eat to get a gram of fiber? Here is a list, roughly in order on this carb/fiber scale. Two types of seeds are excellent sources of fiber and have very few carbs to worry about. They're great additions to your diet and can be eaten in multiple ways. Flax Seeds: There is almost no usable carbohydrate in flax seeds. They are very high in both soluble and insoluble fiber (about one-third of the fiber is soluble). Flax is high in nutrients and could be the ultimate low-carb fiber source. One tablespoon ground flax has 2 grams of carbohydrate, 1.9 of which is fiber. Chia Seeds: These have a fiber and carb profile similar to flax seeds. Chia seeds can be used in many ways, including as a yogurt additive or salad topping. Vegetables that are almost all fiber include mustard greens, chicory, and endive. The following foods have more fiber than usable carbohydrate, so they're also great choices for a low-carb diet. High-Fiber Cereals: Check the labels carefully, but some high fiber cereals are also low or fairly low in carbohydrate. Spinach and Chard (cooked): One cup of chopped, cooked spinach has 3 grams usable carb and 4 grams fiber. You will need 6 cups of raw spinach or chard to produce about 1 cup after cooking. Spinach (frozen): One 10-ounce package of spinach has 3 grams usable carb and 8 grams fiber. These foods have an equal amount of usable carbs and fiber. They offer a perfect balance of the two and are also good choices for your diet. Even though these foods are high-fiber, they offer less fiber than usable carbs. They're still healthy, but you do want to keep the carb counts in mind. Nuts and Seeds: Nuts and seeds vary, but most are high in fiber. In some circumstances, fiber supplements can be helpful additions to a high-quality, nutritious diet. However, they should never take the place of eating high-fiber foods, which are also rich in antioxidants and other nutrients essential to health. There is some evidence that simply taking pure fiber as a pill or sprinkling high-fiber additions over your food doesn’t carry all the same benefits as when it is in food. Also, some high-fiber additives such as wheat bran contain compounds (phytates). These can block the absorption of some nutrients, so large amounts of phytates should be avoided. Chitin and chitosan are common fiber supplements. However, it is derived from the shells of crustaceans and should be avoided anyone who is allergic to seafood. While fiber is essential to a healthy diet, there are some precautions to consider when increasing your intake. If you are not used to eating a lot of fiber, increase the amount gradually to prevent intestinal distress. Make sure you drink lots of water when taking fiber supplements or eating high-fiber foods because all fiber absorbs at least some water. Fiber can, in rare cases, cause choking or constipation if eaten with insufficient fluid. Since large amounts of fiber can reduce absorption of some medications, it is best to take medication either an hour before or two hours after the fiber. You won't lack for good sources of fiber when you are on a low-carb diet if you incorporate more vegetables, fruit, and bran in your meal plans. Your plate will be more colorful and appealing and you can enjoy a great variety of food. Dahl WJ, Stewart ML. Position of the Academy of Nutrition and Dietetics: Health Implications of Dietary Fiber. Journal of the Academy of Nutrition and Dietetics. 2015;115(11):1861-1870. doi:10.1016/j.jand.2015.09.003. Improving Your Health With Fiber. Cleveland Clinic. 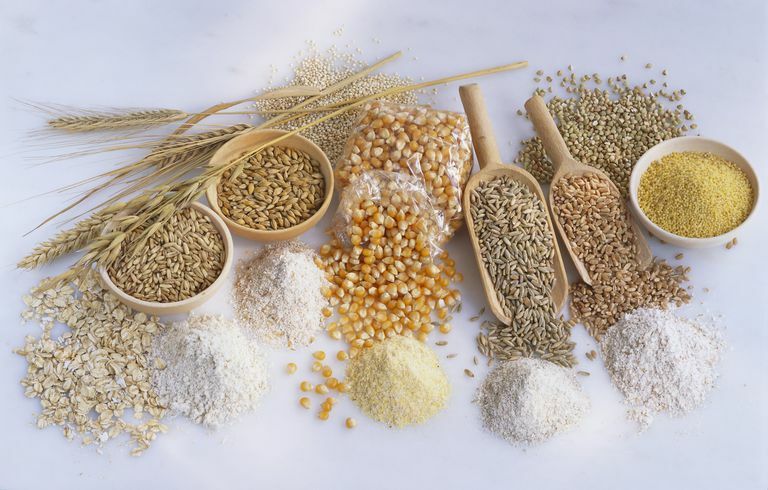 https://my.clevelandclinic.org/health/articles/improving-your-health-with-fiber. Mcrorie JW. Evidence-Based Approach to Fiber Supplements and Clinically Meaningful Health Benefits, Part 2. Nutrition Today. 2015;50(2):90-97. doi:10.1097/nt.0000000000000089. USDA Food Composition Database. United States Department of Agriculture. https://ndb.nal.usda.gov/ndb/search/list. Wald A. Patient Education: High-fiber diet (Beyond the Basics). UpToDate. https://www.uptodate.com/contents/high-fiber-diet-beyond-the-basics. Are You Nutrients on a Low-Carb Diet?